Hey Bambini! Where can I find a baby-friendly cafe? You know all those fab little cafes and coffee joints that you frequented before having kids? You know how once you had kids you found that suddenly your pram could barely fit through the door, let alone weave through tables and chairs to that inconspicuous seat in the corner where you could breastfeed quietly and down a decent latte? Yes, without doubt your criteria for what constitutes a good place to eat changes when you have children. Melbourne mums can breathe a sigh of relief as the creators of website Hey Bambini – Dining out with Baby have done the hard yards with their prams and requests for highchairs to find the best baby-friendly cafes in Melbourne and surrounds. Hey Bambini covers important things like the quality of the baked goodies available as well as baby changing facilities, parking, atmosphere and of course entertainment for the kids while mum enjoys a coffee in relative peace. The site was created by Jolie Morello when she was pregnant with her first baby. As a dedicated foodie Morello was concerned that her weekly brunches would grind to a halt when they were a party of three. She also discovered that whilst many cafes claim to be ‘baby friendly’, their set-up and facilities suggested otherwise. Determined not to miss her breakfasts out, Morello started hunting down unique places that cater for mums and babies and Hey Bambini was born. 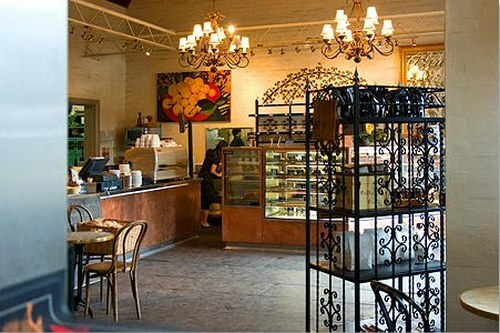 The site lists cafe reviews by area and the database is growing. If you’ve got a local favourite that is baby-friendly, let other mums in on the secret via Hey Bambini. And for the record, the photo above is of one of my local favourites – the Convent Bakery in Abbottsford – an ideal place to visit with kids in tow.